Important: If you have any concerns about accessing the platforms for international travel contact Eurostar. 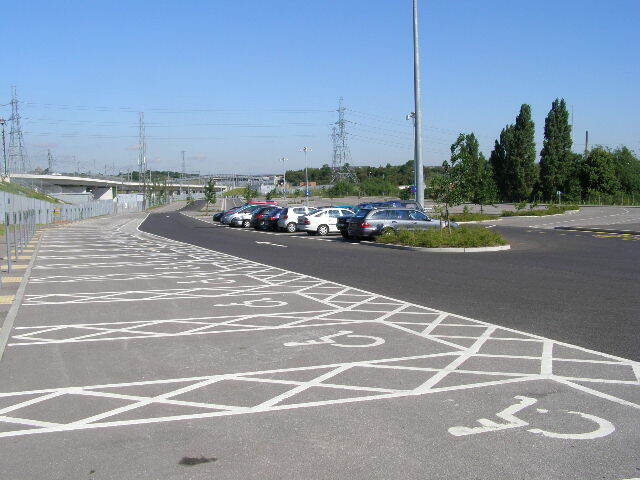 Handicapped and Disabled car parking spaces are located within meters of Ebbfleet International station. Car Park A or B are closest to the station, while Car Park A, B and C have specially designed wide parking bays. Wheelchair users should use Car Park B, which is equipped with ramps that lead directly to the station. Disabled Car parking spaces are reserve for those using a Disabled Badge Holders only. If you require your badge for use on your journey, please leave a photocopy on display.